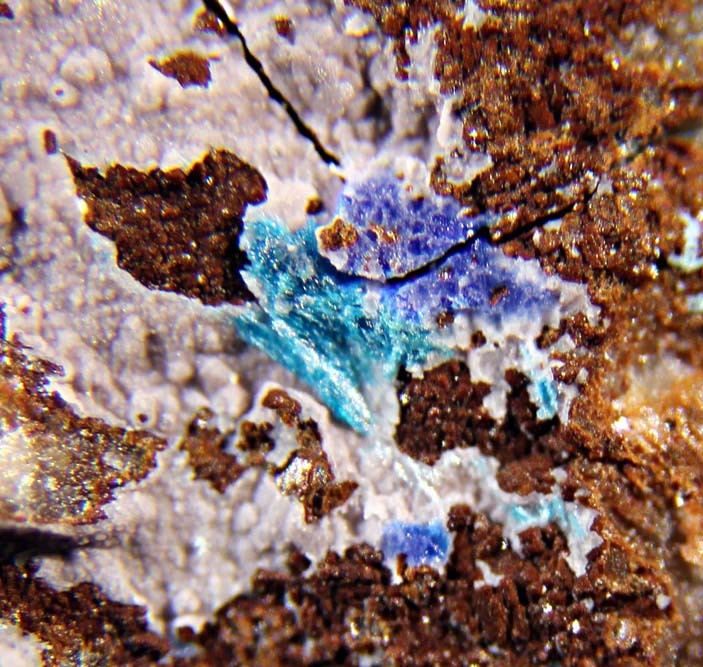 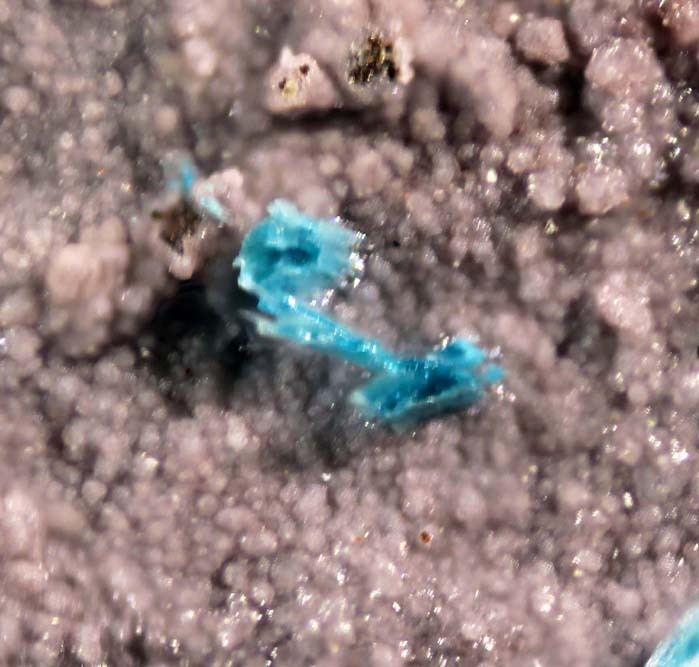 Sharp sky blue crystals of this extremely rare mineral bobkingite known from only 3 localities worldwide. 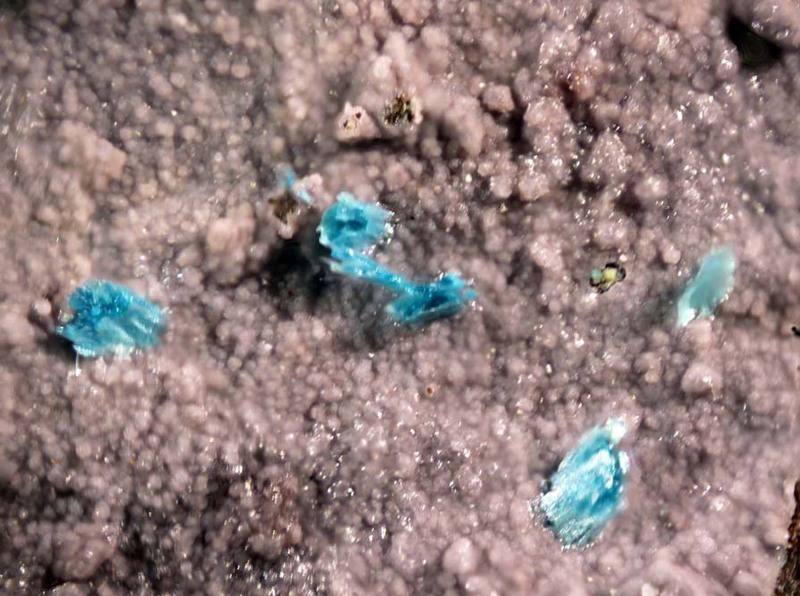 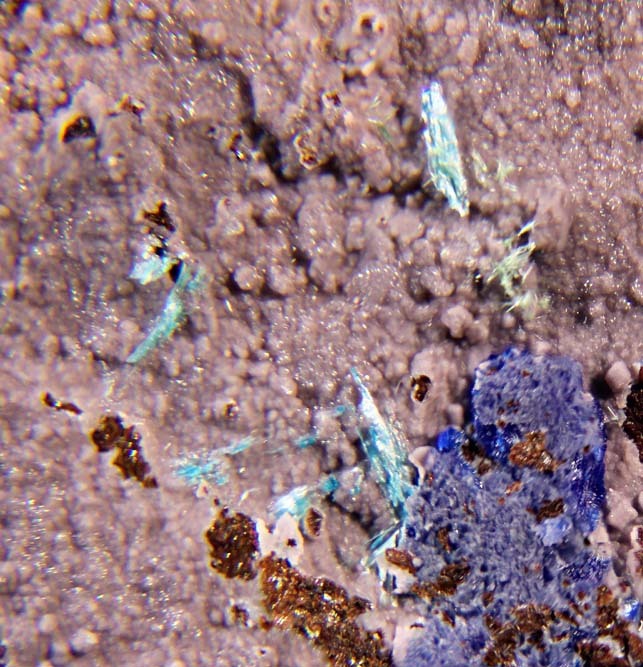 By far, Cerro Minado has yielded the best crystals of bobkingite. 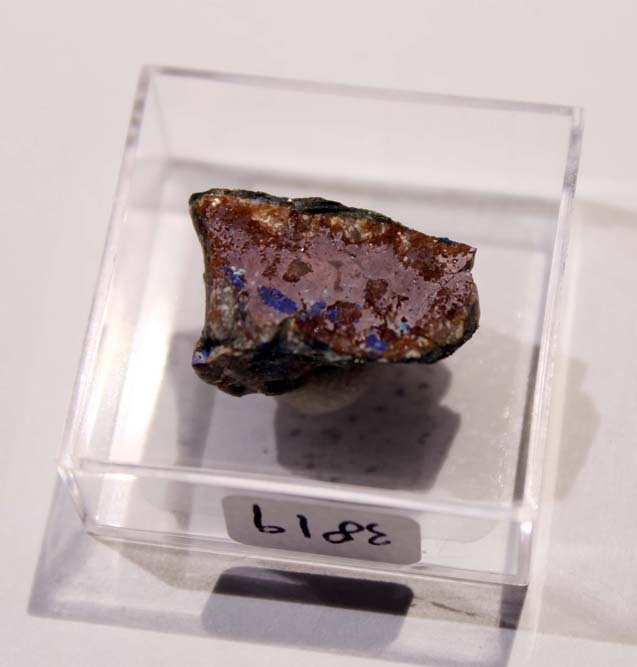 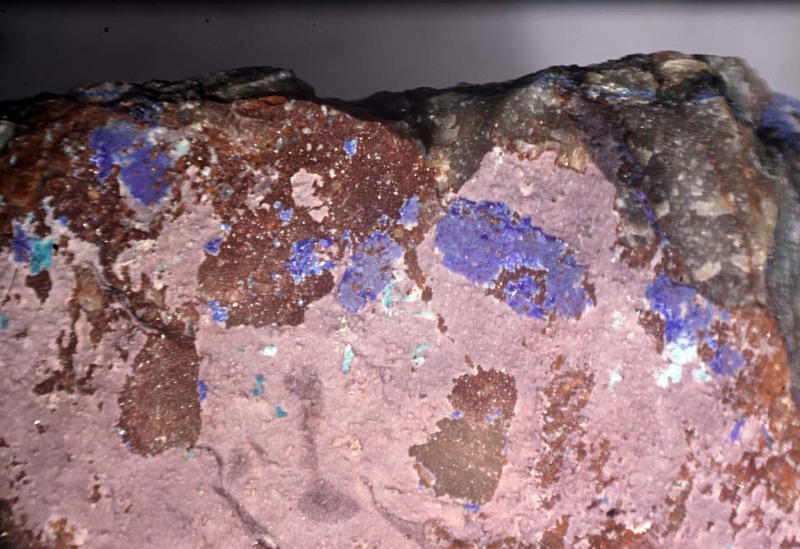 Associated mineral is dark blue azurite. 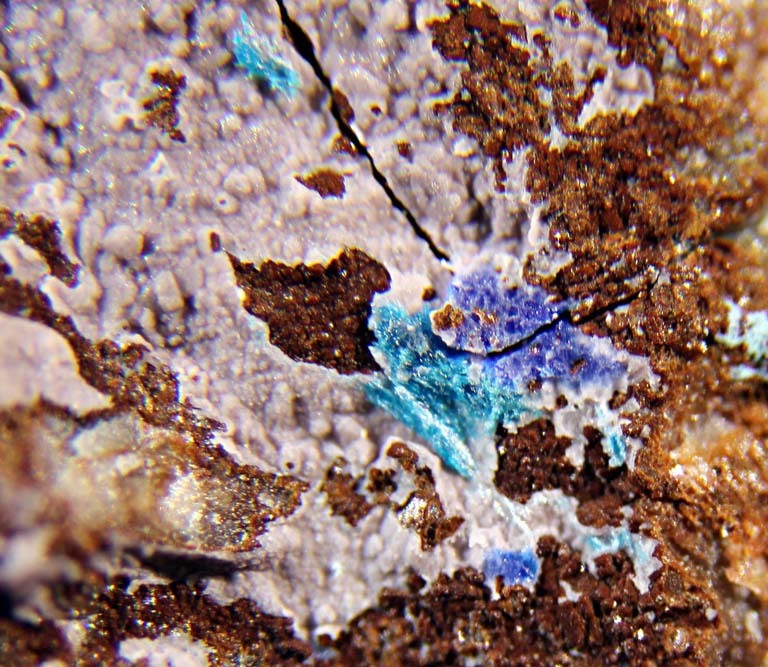 For more info, please see the article describing the occurrence on Mineral Up 2010/1 (New Minerals from Cerro Minado), According to the authours of this article, they found the mineral once and only in a very limited area of the mine. 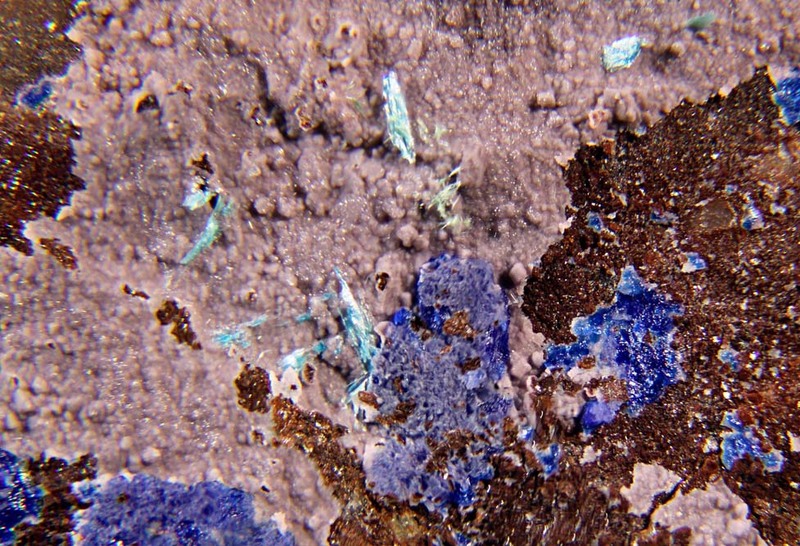 Very nice under the microscope.